If life is like a box of chocolates… can your love life equate to a massive jar of Nutella? Hmmm, something to think about…. mmmm NUTELLA. 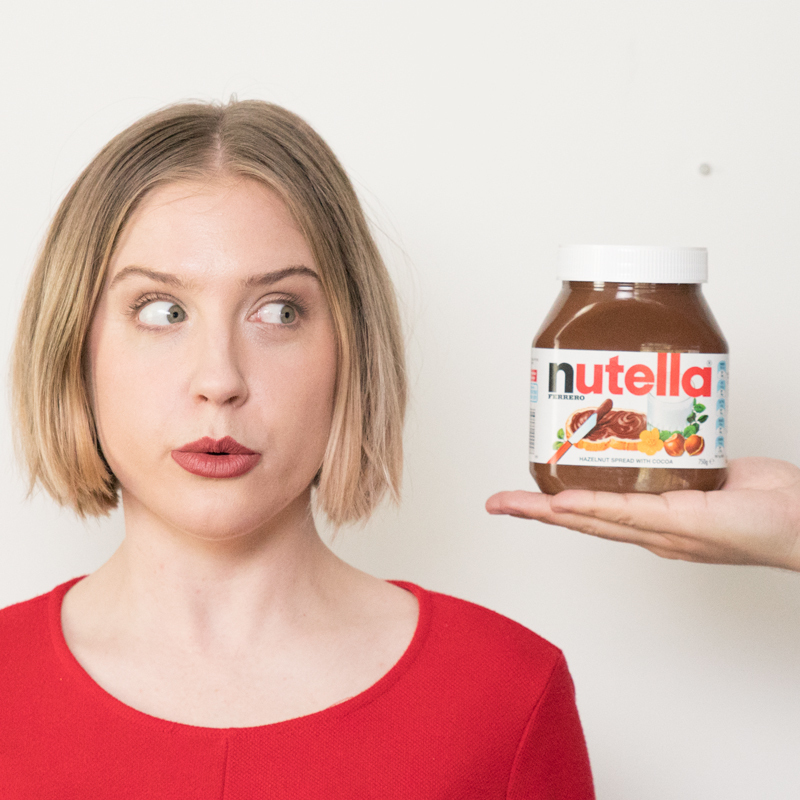 Last night’s Fringe offering at Lazy Susan’s Comedy Den… Boys Taste Better with Nutella uses hilarious observations, kitsch dance moves and lots of good old gooey Nutella to explore coming of age, the sticky side to relationships and the folds in time. Featuring characters Aggy and Frederick, two self-loathing, socially anxious and addicted to food individuals whose paths literally collide mid-aisle. With Aggy once again falling for the wrong guy and Frederick’s most fulfilling connection being with his internet provider, they begin to review the best (and worst) moments of their past relationships, bringing you along for the sticky ride. Part theatre, part comedy and completely entertaining from start to finish, Caitlin Hill gives new meaning to the phrase ‘hot mess’ and Peter Wood could charm the skin off a snake. Which, sounds all kinds of wrong but I believe we live in an age where charming the pants off someone is no longer seen as a compliment. I’m not sure what I was expecting with this show, possibly something a little more risqué, given the show’s title and the 18 plus restricted venue which had me nervous and second guessing who to invite as my plus one. Yes, there is occasional coarse language, there are also sexual references and mental health issues but this is more like an intimate, charming, upbeat Hi-Five show for grown-ups crossed with ten years of therapy sessions, served up so deliciously over 50 minutes. So basically, a musical therapy session? 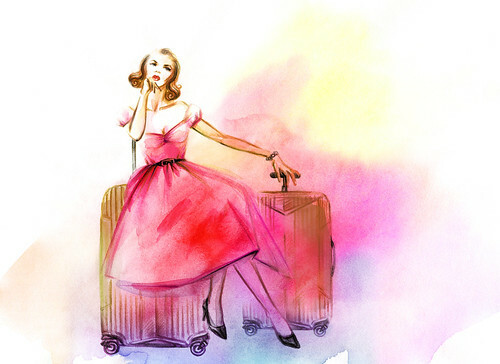 Which again, doesn’t exactly sound complimentary but I’m now at the halfway point of my Fringe World 2019 review journey, so believe me when I say this was all kinds of refreshing and a breath of Fringe fresh air. At a time when I really need to be coming up for air to part my Fringe, so to speak. Interestingly, my Fringe journey this year started at Lazy Susan’s Den, so it was rather apt to return half-way through. I’m rather fond of this venue for Fringe. It’s a little closer to home for me, there’s generally free street parking close by and it’s a great place to head in early or stay late to case the menu or cocktails. For those that haven’t been to Lazy Susan’s Comedy Den, it’s upstairs (a huge set of old rickety stairs) at The Brisbane Hotel. It’s an intimate and simple space that doesn’t necessarily give the performers a lot of room to move but when you are good at your craft who needs more room to move. Having said that, I’m not convinced this was the right room for the show given the dance elements and the fact some of the performance moves into the aisle and audience but they have made the most of the space and it works for the most part. I was sitting second row and struggled to see some of what Hill was doing when performing directly behind me in the aisle when both performers were off the stage but with the nature of the performance, you got more than the gist of things, so an occasional limited view didn’t ruin things. Like most Fringe shows, especially the more intimate, comical ones, there is an element of audience participation but it’s minuscule and more in keeping with keeping you interested than literally (or figuratively) dragging you kicking and screaming into the piece. Nothing that would have you running for the back row or wanting to take a restraining order out (that was Thursday night and a whole other show entirely). Although, if I had my time again before the show closes on Feb 3, I would definitely opt to sit further back for a different viewpoint. My only disappointment, there were no dance/exercise DVDs (or jars of Nutella) to purchase at the end of the show. Also, for the record, I mention a massive jar of Nutella early on in this piece but there isn’t a massive 5kg jar of Nutella in the show but seriously someone needs to organise that for Hill (I believe a cafe in Northbridge have them), so she can take her Nutella obsession next level and practically bathe in it.